При помощи этой программы можно создать IDX после замены файлов в аудио архивах OSW. OSW файлы представл¤ют собой несжатые ZIP-архивы. Для запуска необходим Visual C++ 2008 Redistributable Package x86. I'm using 7zip, but you can use winrar or something else what supports zip format and allows you to set compression type. 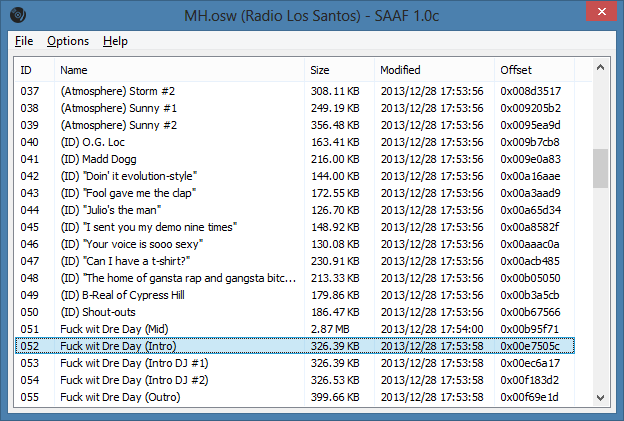 Add files to archive. It's easier even to create a new archive with [b]store[/b] compression (see screenshot†for 7zip). 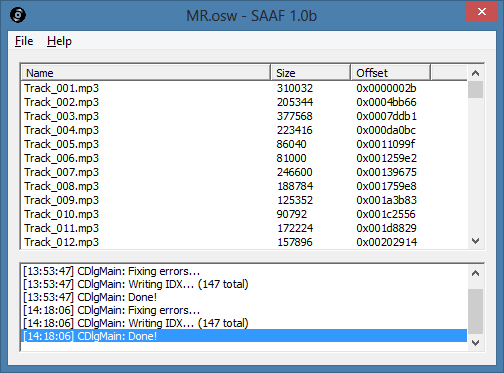 rename your ZIP into OSW (MR.zip -> MR.osw). 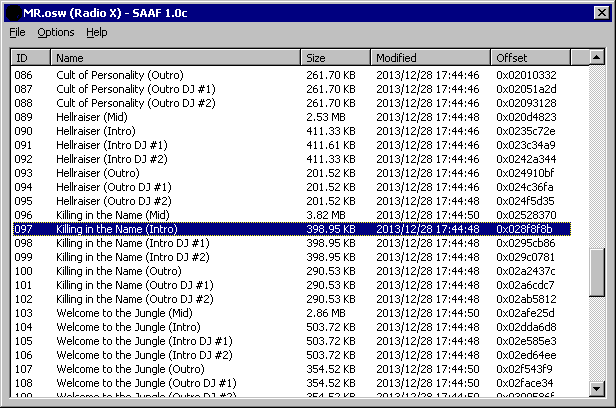 run SAAF and open your OSW file. 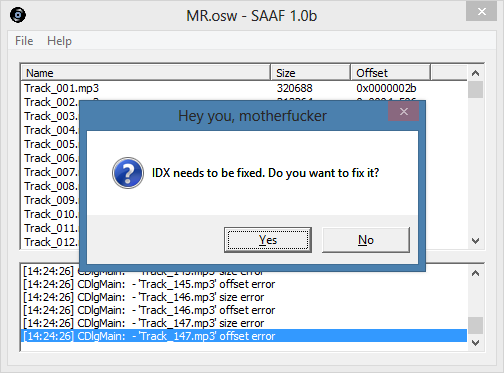 SAAF asks you to create or fix IDX file, so just click 'Yes'. Done. 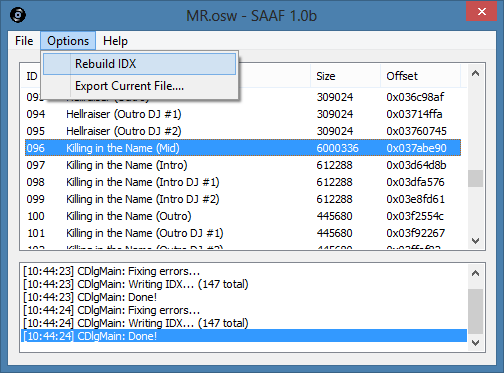 Copy OSW and IDX files (MR.osw and MR.osw.idx) to your phone.